The London Zoo was in the news this past week for trying to recruit an unpaid graduate intern for six months for an international project. British rights group Intern Aware is quoted as saying that the idea was “unacceptable” and that “anyone doing real work deserves to be paid.” The matter of what constitutes real work is a controversial one, as the parties to Glatt v. Fox can attest. (In a landmark 2011 case, a judge ruled in favor of Eric Glatt and a fellow intern against entertainment company Fox Searchlight for not paying them for doing regular work during their internships. The ruling was overturned on appeal in January 2015.) 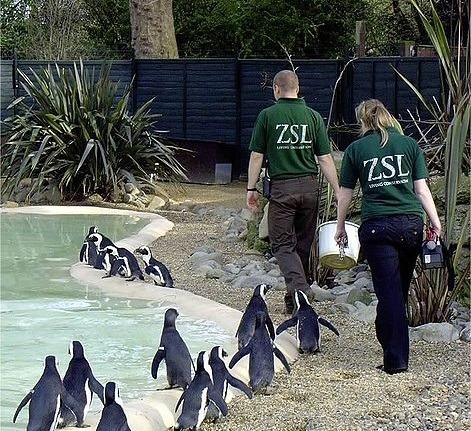 But the London Zoo case has revived an age-old debate about interns’ rights: Should interns be paid or not? Interns are usually young and comparatively unskilled persons undergoing a period of apprenticeship for the purpose of learning an important life or work skill. The end of this attachment is then marked by some form of endorsement that offers entry into key social and professional networks and opens doors of opportunity in various aspects of life. Arguably for this reason, interns have historically been and remain unpaid, for the most part, save for minimal allowances and expense subsidies. But this concept of internship is evolving, as are the characteristics of the people most likely to apply for internships—the nebulous demographic popularly called “youth.” While traditional apprenticeships persist within communities, more “formal” internships—a phrase used with great caution—are in many countries now a standard part of educational training programs. Young people are becoming more skilled and knowledgeable at an early age, and business and civil society organizations alike are using internships to create recruitment pools. Older, more experienced youth are also now more likely to use internships as a way in to new careers. In response to this, companies have sprung up across the world purporting to help employers find the right interns to match their needs. Internships, it seems, are becoming a profitable industry. But there is not yet a global standard on whether interns should be paid or not, despite a growing movement supporting some compensation. UK rights groups Unite and Intern Aware are both leading campaigns to end unpaid internships in the UK. In the U.S., opinions seem divided, though it would appear the balance is tilting increasingly in favor of internships that are either paid, subsidized, or compensated with substantive benefits like trainings. In Africa, only very few organizations, for-profit and nonprofit alike, offer paid internships, though the traditional concept of internships appears to be dominant. Worldwide, the debate has centered on business interests, but it is—or at least should be—as much a concern for civil society organizations, which also use a lot of interns. It is possible that nonprofits haven’t prioritized this due to the presumption that the nature of nonprofit work moots the need for such a discussion. Money is often a challenge for less well-funded CSOs, and it may be hard to justify intern-related expenses to donors. Standards vary. Nonprofits with structured internship recruitment and management systems are probably less likely to come under fire for not paying interns than those that don’t—and from personal experience, many don’t. The question of whether or not interns should be paid cannot be answered with a simple “yes” or “no.” Those who say “no” have to ensure that interns receive skills and knowledge that they can use to advance professionally and don’t spend their internships making coffee and filling in for full-time staff. Those who say “yes” face the dilemma of determining the value of interns’ skills and knowledge and offsetting these against what they would pay permanent staff. Popular positions seem to turn on the balance of perceived benefit: People believe that interns should be paid if the employer benefits more and that they should not be if the situation is reversed.